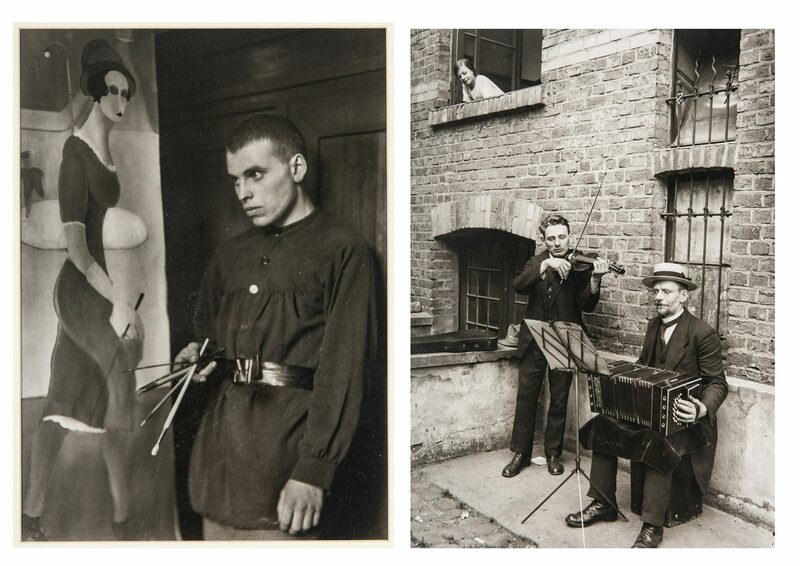 Two (2) August Sander (German, 1876-1964) photographs from PEOPLE OF THE TWENTIETH CENTURY printed by Gunther Sander and matted and housed in matching Lucite frames. 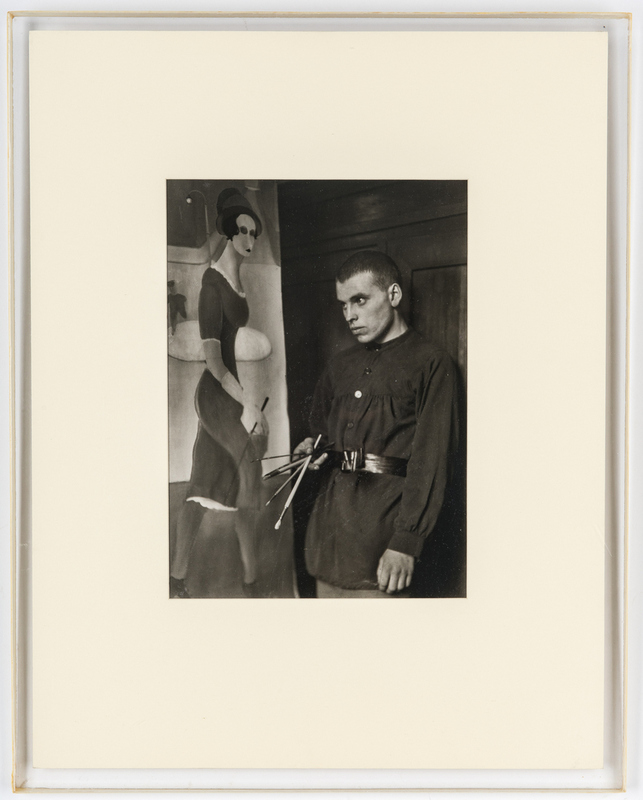 1st item: Gelatin silver print "The Painter Brockmann" – original titler Maler – Gottfried Brockmann – printed 1976. Titled en verso and with inventory number CGS.282.50 and price "600". 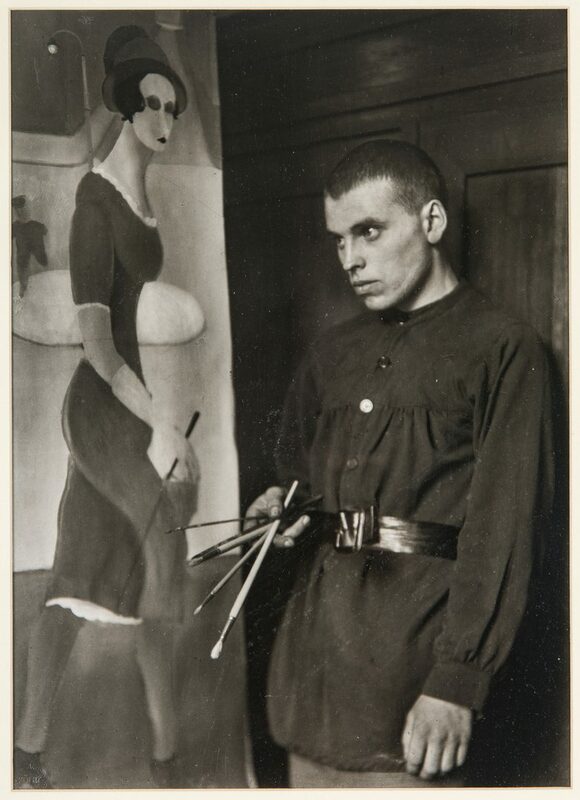 Blind stamp "August Sander Koln Lindenthal" partially visible lower left of image. 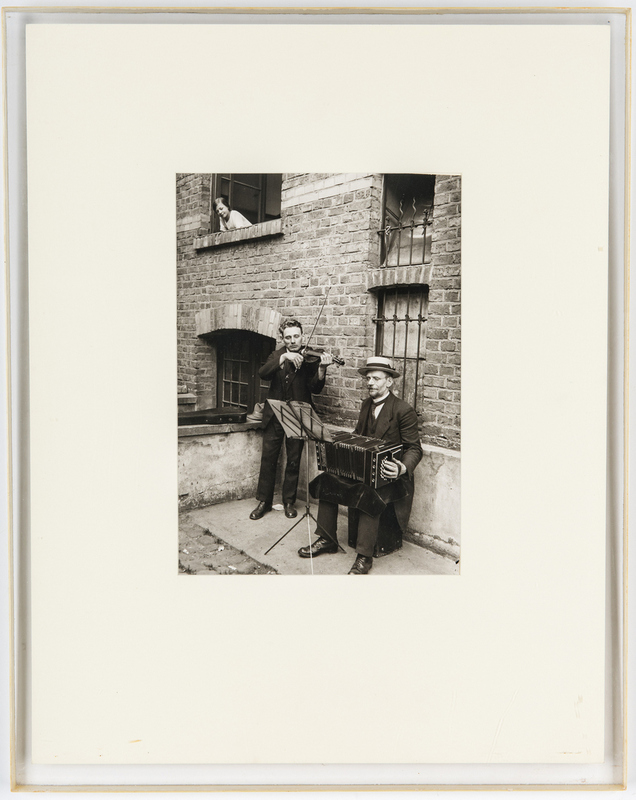 Sight – 10-5/16" H x 7-3/8" W. Mat – 18-1/8" H x 14-1/8" W. Lucite frame – 19" H x 15-1/8" W x 1/2" D. 2nd item: Gelatin silver print titled "Courtyard Musicians" taken 1928, printed 1982. Blind stamp "August Sander Koln Lindenthal" not visible, possibly under mat. Titled en verso and with inventory number CGS.82.282.20 and priced "500". 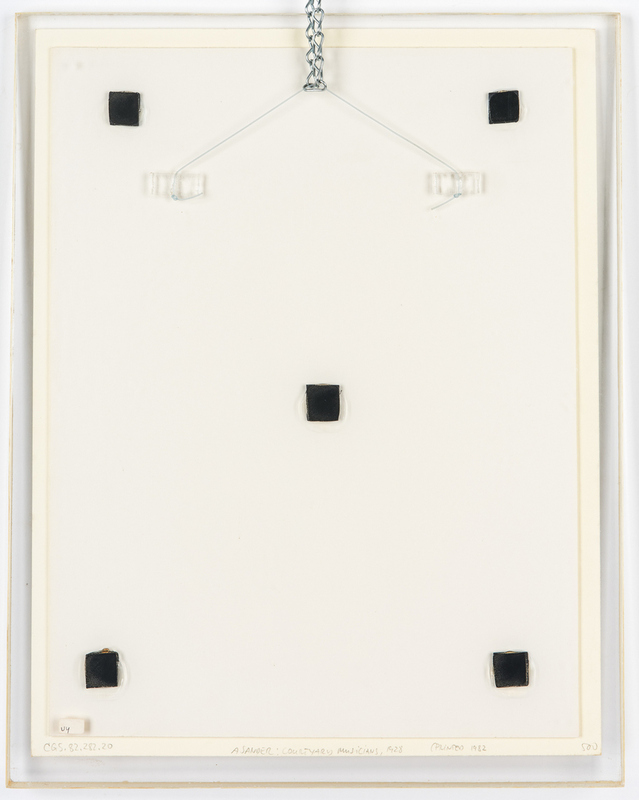 Sight – 9-7/8" H x 7" W. Mat – 18" H x 14" W. Lucite frame – 19" H x 15 1/8" W x 5/8" D. Provenance: Estate of Martha Lyman, Dayton, TN. Both items likely acquired by Mrs. Lyman and her late husband between 1982-83 from Gerd Sander from his gallery, Sander Gallery, in Washington, D.C. 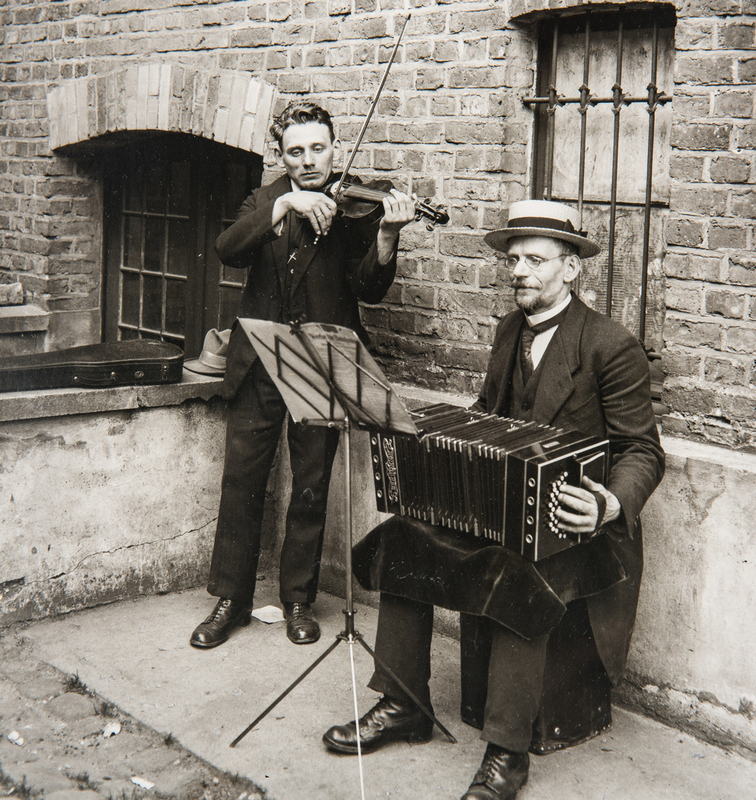 Biography: August Sander has been called the most important German portrait photographer of the 20th century. He received his first camera at the age of 12. 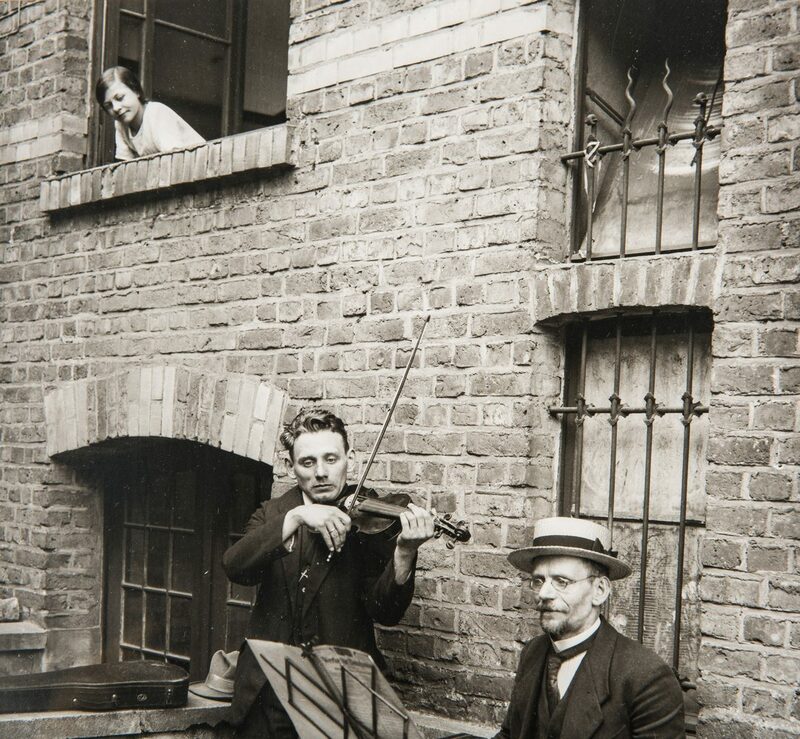 After serving in the German military as a photographer's assistant, he established a studio in Cologne, where he took photographs of local peasants. In 1911 he began a comprehensive, two-decade long photographic study of Germany and its people from all classes, entitled Menschen des 20. Jahrhunderts (Citizens of the Twentieth Century). 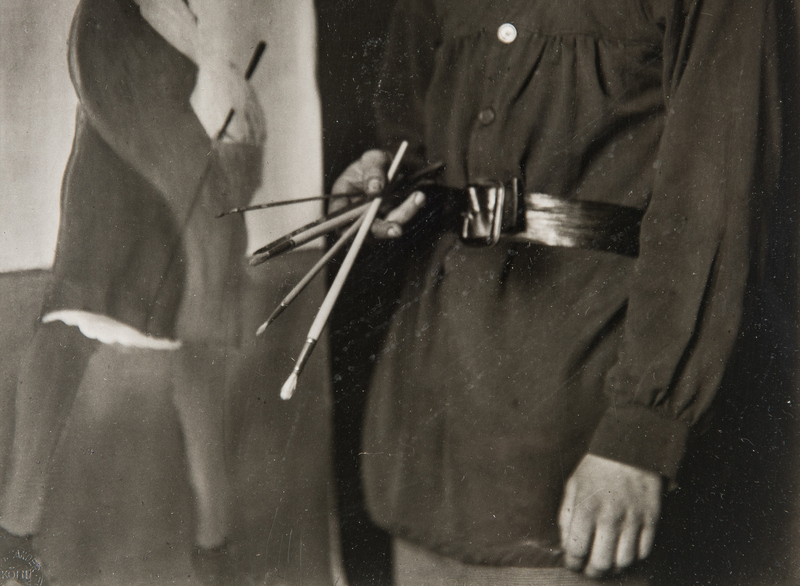 However, his son Erich's connection to the Communist Party put him at odds with the Nazi Party, and with the rise of Adolf Hitler, Sander was forced to discontinue his photography. His studio in Cologne was destroyed in a bombing raid, shortly after he had moved to the countryside with most of his negatives. The Nazis also confiscated five books of Sander's Deutsche Lande – Deutsche Menschen (German Land, German People) in 1933-34, and destroyed the plates. Fortunately, Sander was able to salvage a number of his negatives after the war and re-printed some; the images are now in collections worldwide. 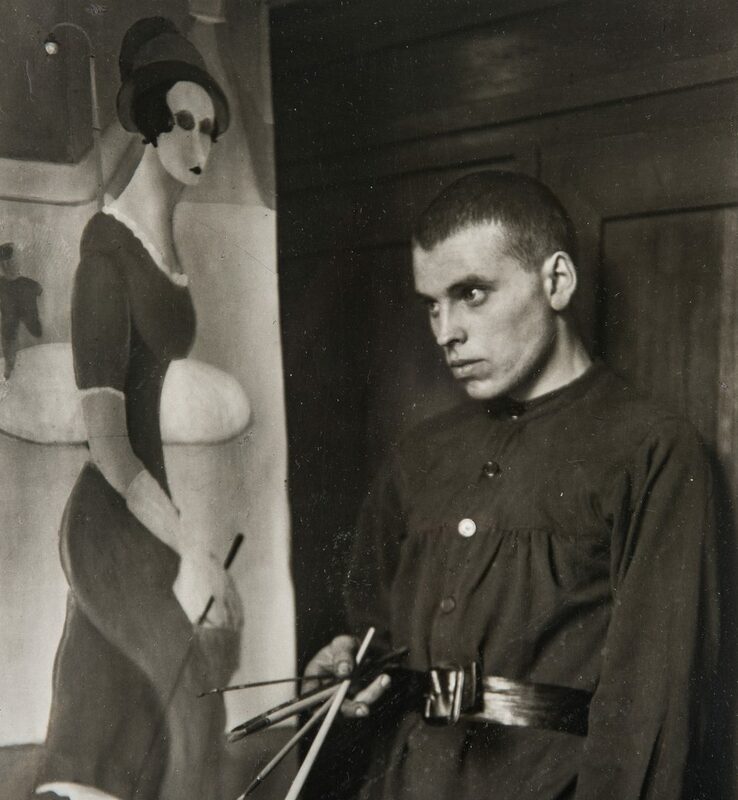 Sander's son, Erich, died in prison, but his son Gunther, and eventually his grandson Gerd, went on to print a number of Sander's photographs following his techniques. Sander's original archive, including his negatives, is now held by SK Stiftung Kultur in Cologne. 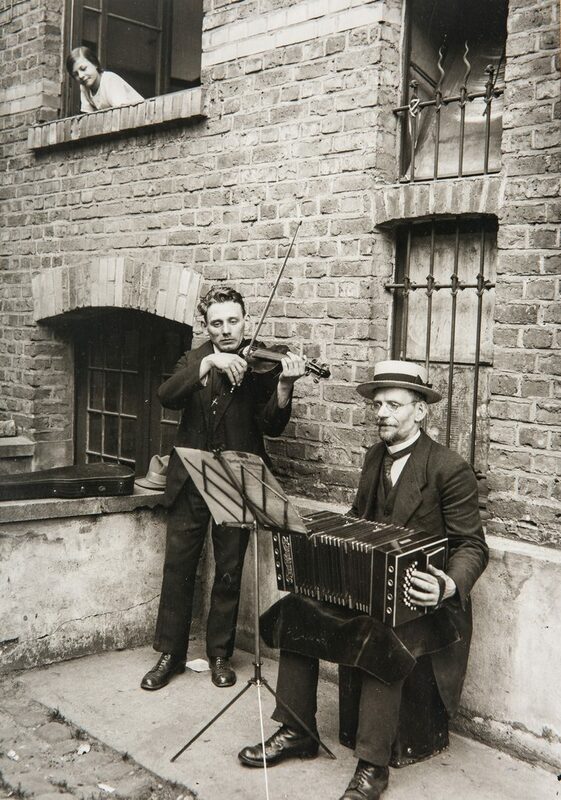 Source: "August Sander 1876-1964" by Suzanne Lange, and the International Center of Photography. CONDITION: Very good condition. All prints float mounted and sealed into Lucite frames. Not examined out of frame.